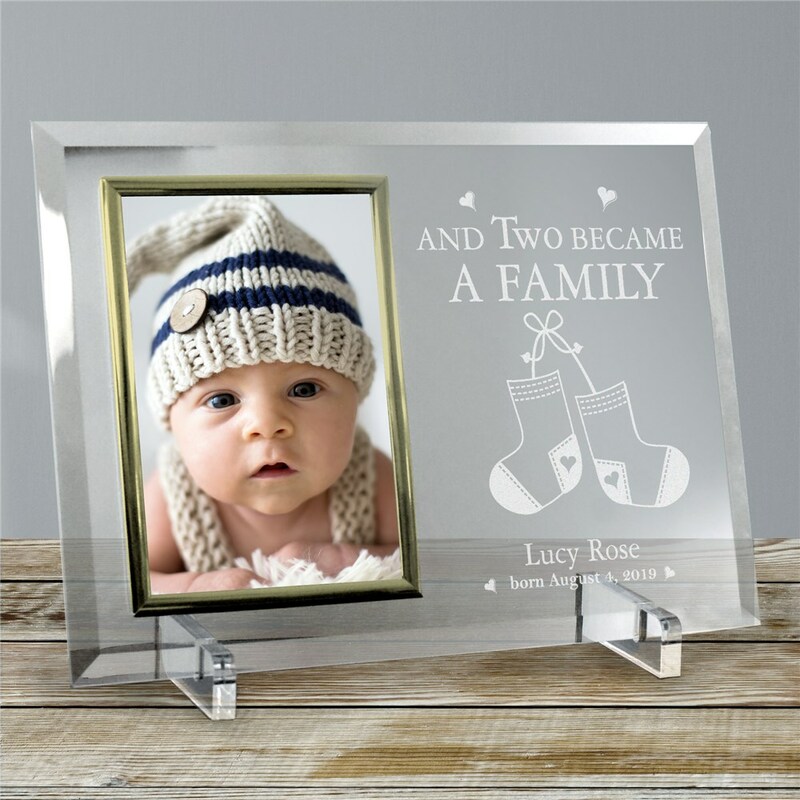 Engraved New Baby Picture Frame Give this precious, Engraved New Baby Picture Frame to yourself or the proud new parents and create a personalized treasured gift for a lifetime. These Personalized Baby Frames are a heavy-weight glass with beveled edges on all sides, accented with golden brass frame trim. Engraved New Baby Frame measures 8" x 11" and holds your 4" x 6" photo; includes clear easel legs for top display. New Baby Frames include FREE Personalization! Personalize your New Baby Beveled Glass Picture Frame with the new baby's name and birth date. Looking for the best Engraved Picture Frames? GiftsForYouNow.com offers personalized picture frames, graduation picture frames, baby picture frames, wedding picture frames, custom picture frames and photo frames for every occasion or gift recipient. Come to GiftsForYouNow.com for your engraved picture frame needs. Be sure to look at our entire collection of Personalized New Baby. We know you will find many beautiful personalized gifts for the new, little baby. GiftsForYouNow.com offers many unique Personalized Baby Apparel, Personalized Picture Frames & Much More.